Rex Tillerson is to arrive in Ukraine on July 9. On Sunday, July 9, US Secretary of State Rex Tillerson will arrive in Kyiv, the source informed. However, it is specified that Tillerson's visit will be short - about 2-2.5 hours. It is not yet known with whom the Head of the US State Department intends to meet. Earlier in June the President of Ukraine Petro Poroshenko announced the arrival of Tillerson. 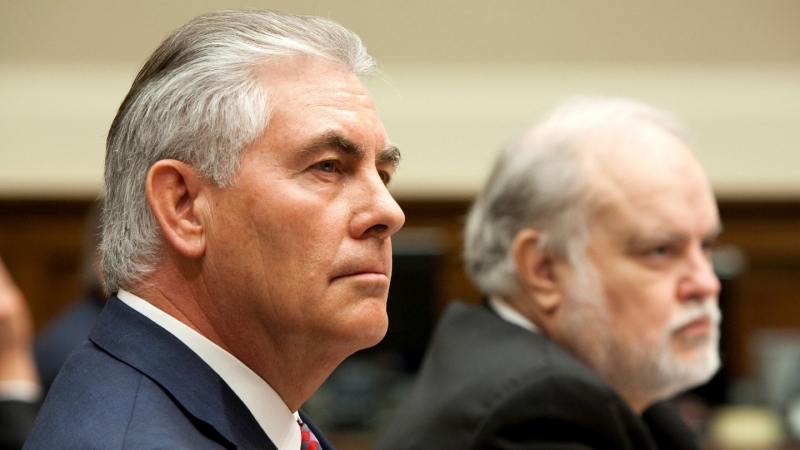 "We are waiting for the visit of US Secretary of State Rex Tillerson to Kyiv in July, where our developments started in Washington will continue," the Head of state said. June 20-21, President of Ukraine Petro Poroshenko was on an official visit to Washington. He met with US President Donald Trump, as well as Vice President Mike Pence, US Secretary of Defense Mattis and Secretary of State Tillerson.